Connecticut is responsible for gifting the world a number of important foods: the hamburger, the lobster roll, and New Haven-style pizza. And while you’ll still find excellent versions of all of these in the Nutmeg State, its dining culture has also expanded well beyond them. Today you’ll find things like slow-smoked barbecue, steaming bowls of pho and ramen, San Diego-style burritos, and sushi made from fish caught in Long Island Sound. With food-friendly cities like New Haven, Westport, and Norwalk, there are countless places to eat in the state -- here’s your guide to the very best. 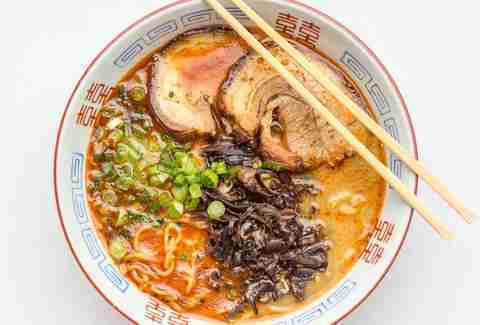 Since opening in 2014, this casual Japanese spot has powered Connecticut’s otherwise sparse ramen scene, gaining a well-deserved cult following in the process. Modeled after a Japanese pub with long wooden tables, communal seating, and a robust sake list, Kawa Ni offers dishes like pork & garlic ramen (with braised pork belly that’s thick, tender, and salty) and a refreshing cold duck soba. Whatever noodle dish you opt for, be sure to start with the signature smoked bone marrow appetizer. 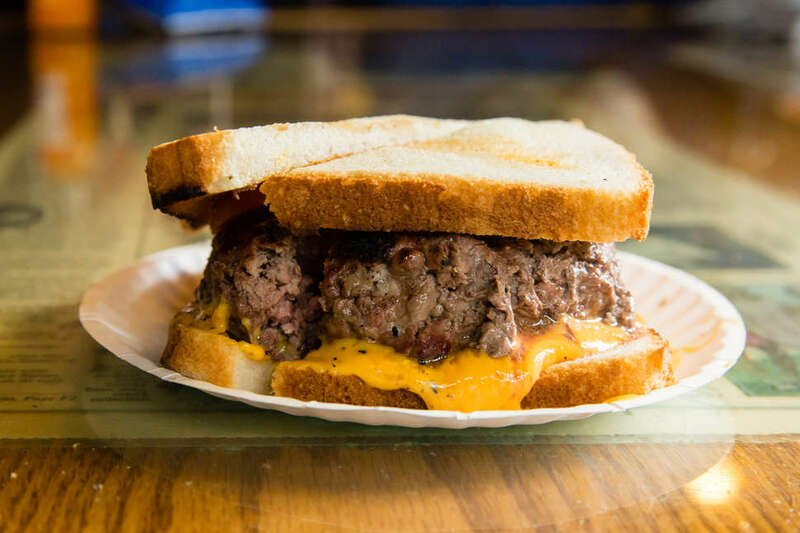 Steamed cheeseburgers are an odd central Connecticut delicacy found in Meriden and a few other surrounding towns. The concept took hold in the early 1900s, and while Ted’s (which opened in 1930), didn’t invent them, it’s the longest tenured purveyor of them. 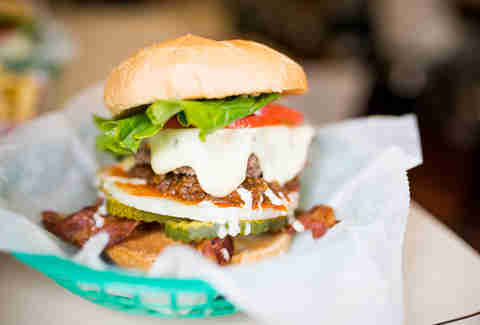 One bite into the burger here and you’ll wonder why they haven’t caught on in the rest of the country: The steaming process creates a lighter burger that’s less juicy (but not at all dry) with a stretchy, low-moisture cheese perfectly melted on top. It’s a tie between the holy trinity of New Haven pizza spots. 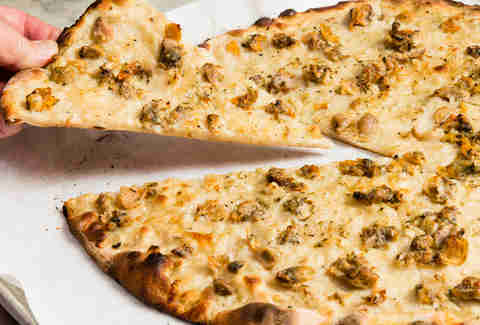 Pepe’s, Sally’s, and Modern each offer the charred and chewy crust New Haven is known for, and all three helped invent the New Haven-style pie (think of it as a crispier Neapolitan). Pepe’s and Sally’s tend to have longer lines, so Modern can often be the best visitor-friendly option. When motorcycle enthusiasts turned restauranteurs Ann and Gregory Bidou first opened Toymakers Cafe, they only planned to be in business a few years. Fifteen years later, the restaurant is still attracting crowds for its light and fluffy waffles and enormous burgers. It’s a favorite amongst bikers cruising Connecticut’s Route 7 and hikers taking a small detour from the nearby Appalachian Trail. This old-school diner (open since 1941), maintains a fiercely loyal following. After a fire destroyed the place in 2006, the community united and raised funds to help restore and reopen it. Today, the breakfast and lunches prepared by Brian O’Rourke, nephew of the original owner, are still some of the best in the state. “Available only when the time is right,” the “Brian’s Breakfast” special is a two-course meal consisting of whatever O’Rourke feels like making that day. Fortunately, he always chooses well. Since opening in 2013, this Kansas City-style barbecue chain from a former competitive eater has grown into a Connecticut institution with three locations and several spinoff restaurants. The burnt ends, a Kansas City specialty, are the must-try item: slow cooked for up to 16 hours, they take on an ultra-soft quality with plenty of flavor. Be sure to pair yours with some meat-topped mac & cheese. This family-run restaurant is your go-to for Italian cuisine. The atmosphere is somewhat fancy, with white tablecloths and attentive service, but it’s never stuffy. That’s reflected in the menu as well, which offers homestyle dishes like house-made mezzi rigatoni alla norma (rigatoni sautéed with fried eggplant in a plum tomato sauce) and other classics like arancini (rice balls) and veal and beef meatballs. This legendary New Haven spot is a pioneer of seafood sustainability. Chef Bun Lai has been internationally recognized for his efforts, including being named one of the White House’s “Champions of Change for Sustainable Seafood” in 2016. 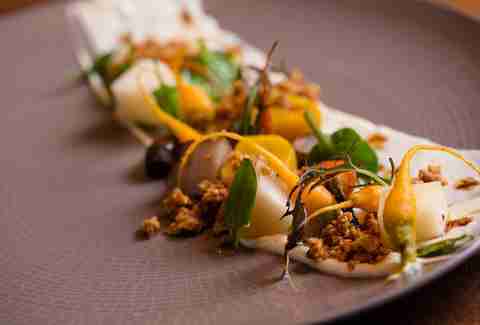 In order to create what Lai calls “plant-based, future sushi” he utilizes ethically farmed seafood and invasive species like carp and catfish. While you’ll find plenty of familiar options on the menu, be sure to look out for creative rolls like the Kanibaba roll -- potato skin stuffed with Chesapeake Bay blue crab meat, topped with havarti cheese and Asian shore crab. Out of all the restaurants on Broad Street’s “Little Poland” stretch in New Britain, Staropolska stands out for its heaping portions of traditional dishes like stuffed cabbage and hunter’s stew (a traditional cabbage and pork-based stew). For the full experience, opt for the Polish platter, which comes with gołąbki, kiełbasa, bigos, pierogi, and a potato pancake. 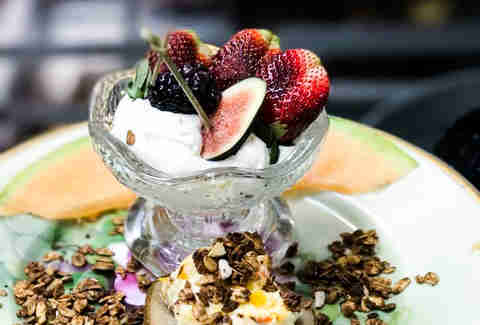 One of Connecticut’s most critically acclaimed restaurants, Millwright’s is led by James Beard nominated chef/owner Tyler Anderson, who crafts comfort food dishes with high-end touches. Opt for the classic New England flat cornbread (called a johnnycake), which gets flattened into a crepe and stuffed with crab and Connecticut-grown corn, and the tapioca custard, packed with the hearty flavors of New England clam chowder. This family-style restaurant offers Portuguese soul food that tastes like home cooking (even if you didn’t grow up in a Portuguese household). Large portions of rice, seafood, and meat are served alongside pitchers of house-made red and white sangria. Try the Mariscada (lobster, shrimp, scallops, and clams served in a wine and butter sauce) or the Bife na Pedra (steak served and partially cooked on a sizzling hot slab of stone). 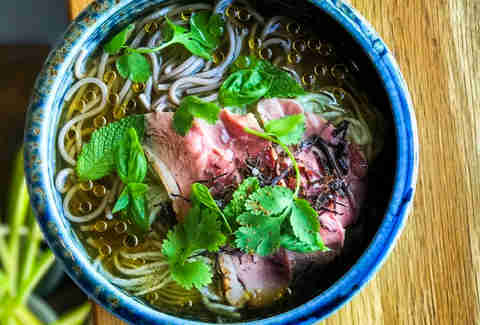 While you’ll find ramen and plenty of other noodle varieties at this local chain, the main focus here is pho, served with both traditional ingredients (like chicken, beef, and shrimp) and not-so-traditional ones (like beef meatballs). Opt for apps like pork belly steamed bao and banh mi sandwiches before ordering the ever-popular The Pho King, made with braised short ribs and topped with a hardboiled egg. Opened in the ‘20s, this old-school hot dog stand has continued to attract a crowd for two reasons: Blackie’s relish and custom-made hot dogs from Martin Rosol’s Meats in nearby New Britain. Still a secret family recipe, the relish is pickle-free, and contains spicy pepper -- a step-up from traditionally sweet hot dog garnishes. The dogs themselves combine both beef and pork, and and split during the boiling process, resulting in a smoky flavor and a snappy skin. Do note the stand is closed on Fridays -- a throwback to when Catholics avoided meat that day. According to Connecticut lore, the hamburger was born at Louis’ Lunch in 1900 when a customer told owner Louis Lassen he was in a hurry and needed something he could eat on the run. 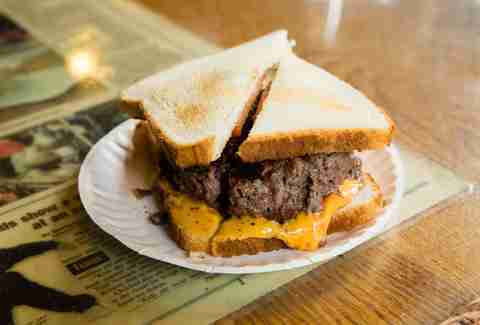 Lassen put ground steak trimmings between two slices of toast and the burger was born. Not much has changed in the 117 years since -- other types of beef have been added to the burger blend, and you can get a thin layer of cheese added upon request, but the patties are still served between two slices of bread instead of a bun, and you won’t find any ketchup or other condiments (don’t even ask!). 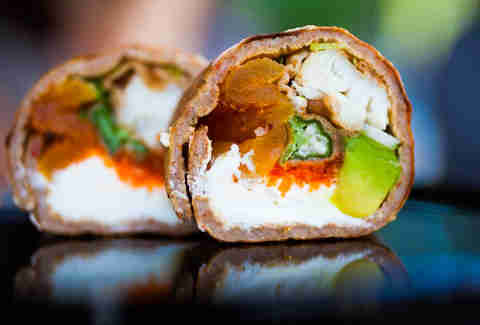 Connecticut may be more than 2,000 miles from California, but you can still get a proper San Diego-style burrito here, courtesy of Paul Mannion's truck, which doles out tightly wrapped, house-made tortillas filled with ingredients like chicken, beef, chorizo, and the requisite French fries. The truck can be found during lunch most weekdays at Kenosia Park in Danbury, and on the weekends, it often pops up at different breweries. While this bakery/cafe’s name might evoke visions of science-fiction movies, in reality, it refers to the moms who own and run the place, Anna Llanos and Andrea White. 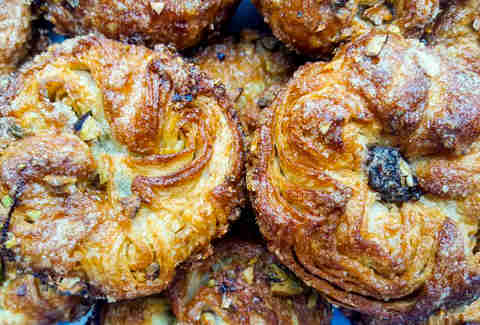 White handles the business end of things, but you'll find Llanos in the kitchen daily, making fresh-baked scones, cookies, breads, pies, and sandwiches that taste just like they were made at home (if your parents happened to be really talented bakers). 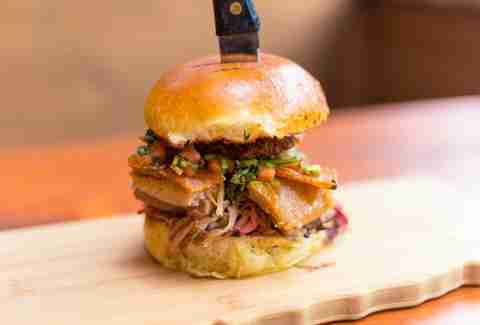 Chef and owner Matt Crowley’s burger creations stand out in a state known for its burgers. While some options may seem a little over-the-top and gimmicky (like a burger topped with chili and pastrami), they’re all made with flavorful, fresh-ground meat and seasonal, locally sourced ingredients. Opt for the venue’s namesake, the GoldBurger: a monstrously sized two-patty affair, topped with American, lettuce, onions, tomatoes, a potato chip, and ketchup and mayo-based sauce. When this Texas-style barbecue joint opened in 2015, lines stretched out the door and popular items would often sell out early in the evening. 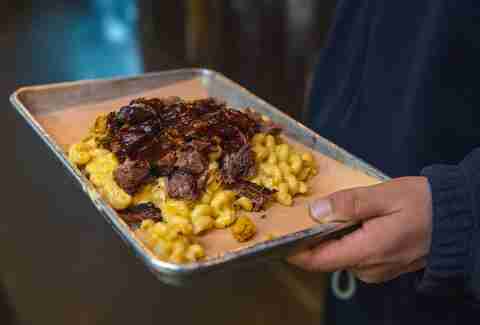 The restaurant has since added smoker capacity and extended its hours, taking some strain off the lines -- though if there is one, know that the brisket remains worth waiting for: The slow-cooked, hickory-smoked beef emerges so soft you could cut it with a spoon. Ask anyone in Connecticut (OK, anyone with an interest in food history), and they’ll tell you that despite Maine’s association with lobster rolls, the coastal delicacy was perfected in Connecticut. 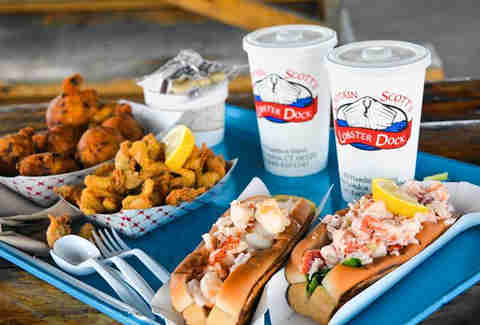 While Maine lobster rolls are served cold with mayonnaise, Connecticut’s are served with warm, topped by melted butter. You won’t find a better example of the traditional Connecticut-style roll than the one at Captain Scott’s. The hot lobster rolls here come in two sizes: large or small, with tons of fresh lobster meat drizzled in warm butter inside a toasted roll with a side of coleslaw. 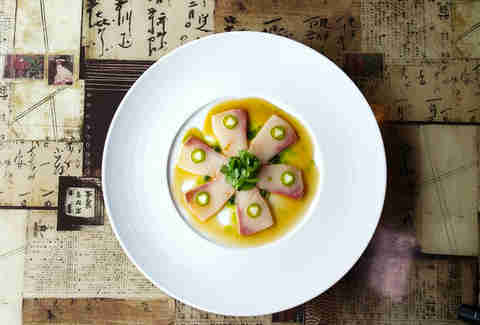 Ki Asian chef Benny Chow trained at Nobu in New York under legendary chef Masaharu Morimoto and that experience can be seen in a menu full of traditional and inventive sushi, sashimi, and rolls. Go for the over-the-top (but still super-fresh) rolls like the TNT Lover roll: chopped bluefin toro (the fatty belly meat of tuna), caviar, tempura flakes, scallion, and asparagus topped with raw tuna. Erik Ofgang is the senior writer and food reviewer at Connecticut Magazine and author of Buzzed: Where to Enjoy the Best Craft Beverages in New England and Gillette Castle: A History. He teaches journalism in Western Connecticut State University’s MFA program. Follow him @erikofgang.